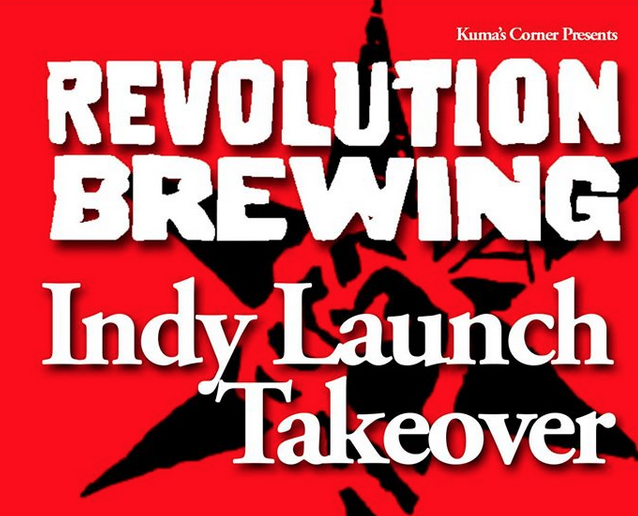 Kumas » Revolution Brewing Launch Takeover at Kuma’s Indy! Revolution Brewing Launch Takeover at Kuma’s Indy! Join us on Monday, October 9th as we welcome our friends Revolution Brewing to the Indianapolis market officially! Giveaways and a burger or twelve. Come hang, meet the folks from Rev and welcome them to Indy with us!